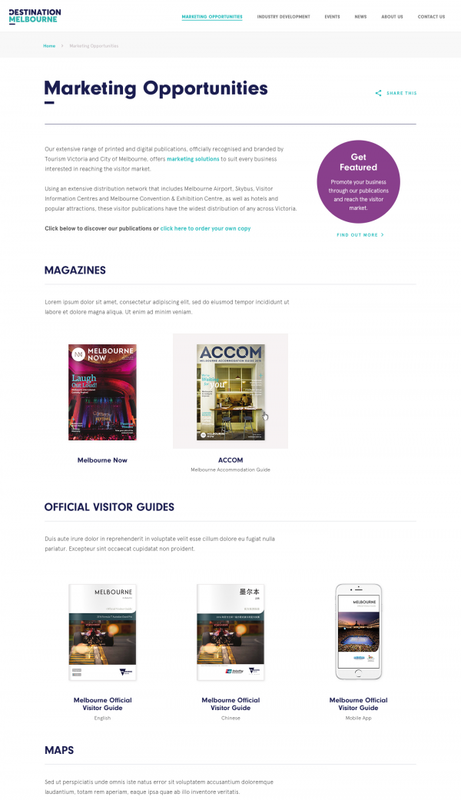 Destination Melbourne is a leading independent tourism body for Melbourne, which works with operators to capitalise on opportunities to improve the experience and service offering to visitors. The end result was a fully responsive and engaging website with a compelling user experience that displays beautifully across all platforms. The user-focused design evolved from considered information architecture, providing logical pathways to the most important information, and enables key messages to be delivered with speed and fluency to target audiences. The design is vibrant and striking, utilising strong use of colour and typography, as well as evocative imagery. Since the launch, bounce rate has dropped and average site dwell time has increased by 25%. 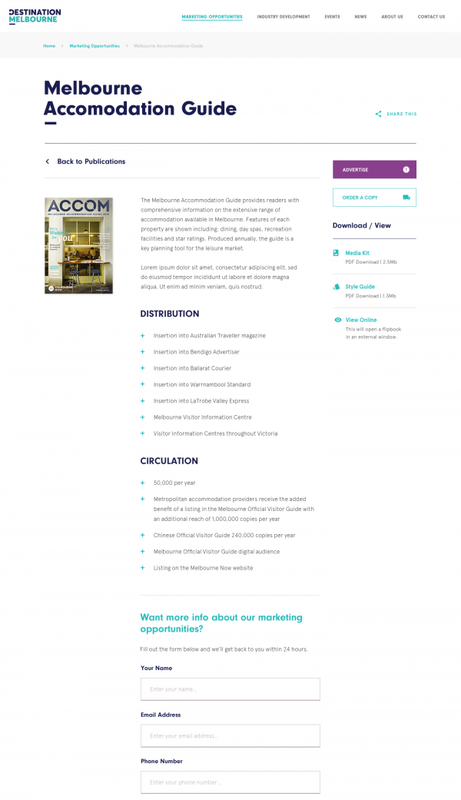 Destination Melbourne’s previous website fell short of being the key communication tool for local businesses that they aspired for it to be, and their audience did not visit the site regularly as content was not often updated, partially due to limitations of how information was displayed. The CMS did not allow for the flexibility to upload content and imagery in an engaging way. 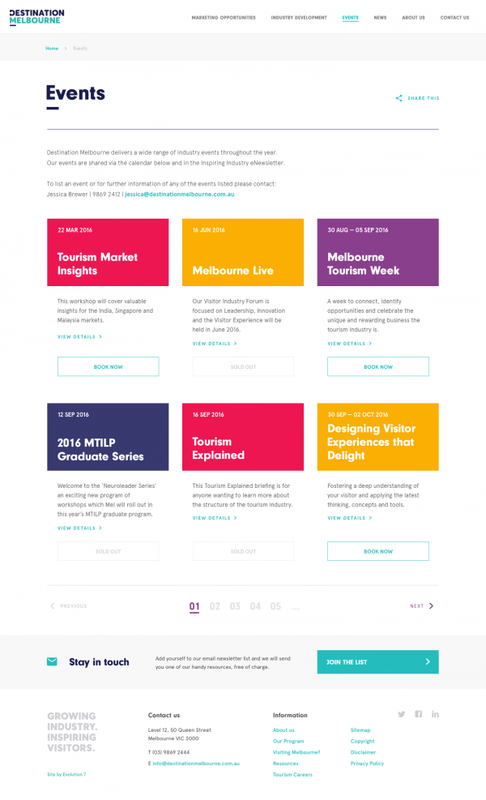 The new website needed to highlight Destination Melbourne’s expertise to prospective members/operators, with considered UX, clear branding, and product offering — with regularly updated events at the forefront. The website needed to reflect the new brand direction — vibrant, creative and fresh — and be as user-friendly in the back-end as it was at the front-end. With new events being added regularly, the website needed to be easily updated by an internal team and offer a flexible range of content modules within the CMS. Without always having access to high-quality images, the design needed to be able to work just as well without images. 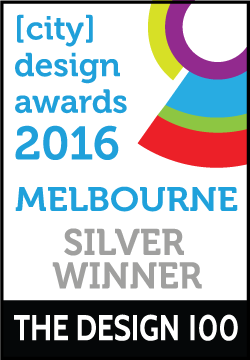 Strong calls-to-action and flexible advertising spaces were another important consideration for Destination Melbourne. 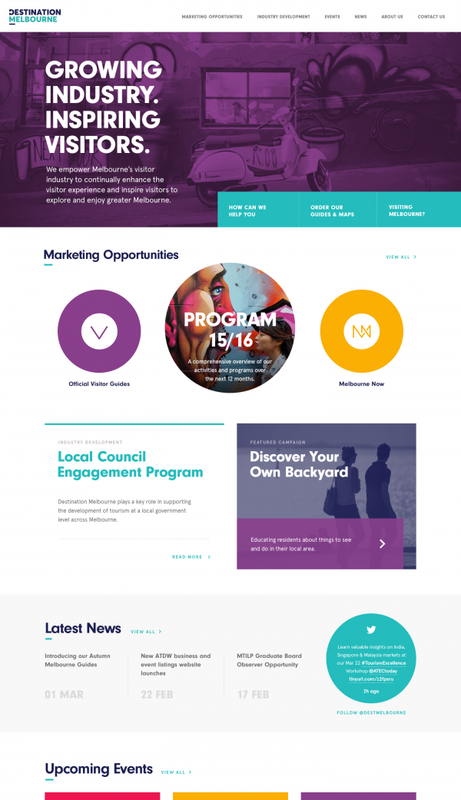 The project was strategy led, leveraging insights and expertise to ensure the digital presence, assets and website were focused on delivering value to users and to Destination Melbourne. By doing a deep dive into the heart of the project and understanding the needs of users, we were able to craft the information architecture to suit, and develop the site through an iterative process, from IA through to wireframes, visual designs and finally the end build. 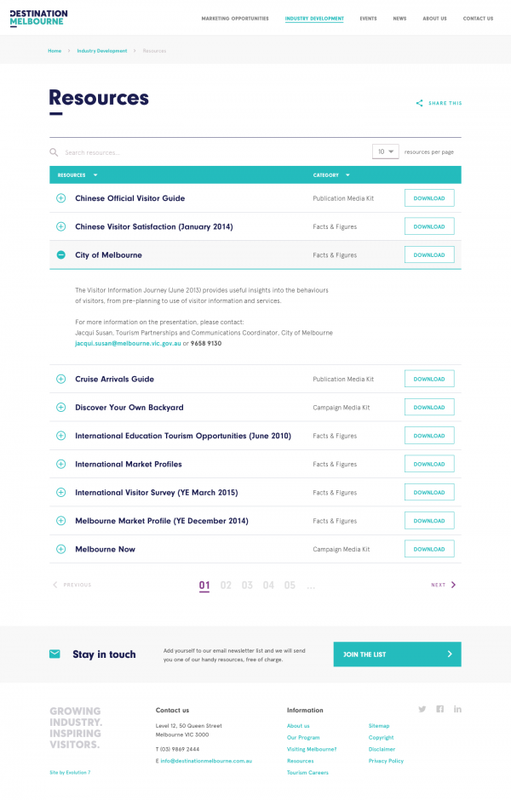 Events are at the core of Destination Melbourne. Easy event integration in the backend and fuss-free booking at the front-end provides a seamless experience at every stage. The rich "megamenu" navigation allows for easy visualisation of all key aspects of the website, while easy-to-use content management tools streamline publishing and delivery, driving dynamic content on the website with ease. Behind the scenes, a comprehensive digital launch strategy including integration with Google Analytics, Google Webmaster Tools, custom event and goal tracking, and search engine optimisation ensured minimal traffic disruption and established a solid base for ongoing digital marketing efforts. Event booking is managed by Eventbrite so SSL certificates were not required.